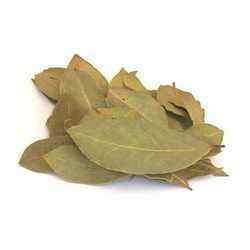 We have in store for our clients an assortment of Bay Leaves that is widely appreciated for distinctive rich, aromatic and spicy flavor. Bay Leaf (the seasoning name for laurel leaf) is light green in color and its shape is elliptical. It is extensively used in soups and many other Indian and continental dishes to enhance the tastes and flavors. These are processed at our highly advanced processing unit and provided in proper packaging. We offer high quality of Cardamom fresh and dry from manufacturing firm. 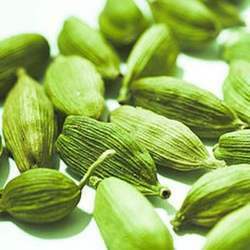 With Export quality and hygeinic packing, offers the bulk quantity of cardamom. 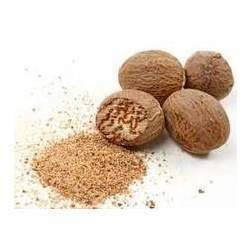 We are offering a range of Mace, which is widely used in electuaries and tonics. It is also recommended for treating various inflammations found in the bladder and urinary tract. Furthermore, the range is also applied externally and is very beneficial in arthritis and chronic rheumatism. The range is also used in the preparations of savory dishes. Known by the Indian name Jawitri, the range is utilized for adding flavour and as a medicine. 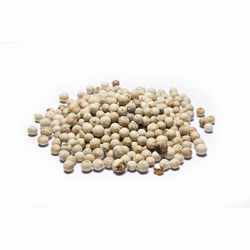 White Pepper is used whole in pickling spices and marinades. Ground White Pepper is used in light colored foods such as sauces and soups. It is especially popular in European cuisine. To prepare White Pepper, the berry is picked when fully ripe. The outer layer of shunken skin is removed, leaving the dried, greyish-white kernel. It has a milder, more delicate flavour than Black Pepper. Black pepper is known as “The King of Spices” worldwide. It is a healthy addition to any diet as it aids in stimulation, circulation and digestion. It stands out to be the most commonly used spice in the world today. 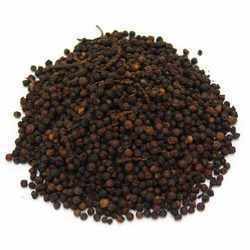 We have warehousing capabilities to store and process huge quantities of black pepper. We cater to our customers with the supply of a premium quality of black pepper, black pepper whole, an indispensable ingredient in the preparation of Indian dishes. Two varieties offered by us are Malabar Garbled and Tellichery extra bold. Our range edible spices like black pepper spice, whole black pepper, indian black pepper, whole black pepper spice offered as per client requirement. It is widely used in Mughlai preparations and adds a distinct aroma to the cuisine. The unique flavor that it leaves is widely popular. Customers can avail it in their choice of packing. 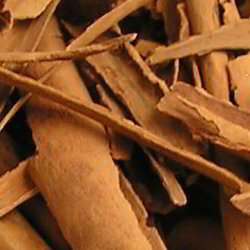 We are among the renowned exporter of Cinnamon. The Cinnamon is popularly known as Dalchini is basically used in the dished in the winter season, although it is available throughout the year. 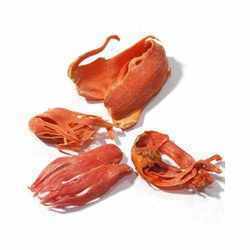 Saffron is the carefully dried stigmas of crocus sativus flowers, a small perennial plant about a foot tall. Each crocus has three female parts (stigmas), two male parts (stamen). Each stigma is threadlike in appearance and is red or dark red in color towards the top and yellow towards the bottom of the stigma, where it is attached to the flower. Saffron has a bitter flavor and a pungent odor. The flavor, aroma, and coloring capability come from the red part of the stigma. The yellow part has no value as a spice. 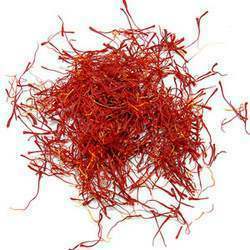 We counted enough unbroken threads of our Kashmiri saffron until its weight reached one gram.